Computer software; Development; Social aspects. New media thrives on cycles of obsolescence and renewal: from celebrations of cyber-everything to Y2K, from the dot-com bust to the next big things -- mobile mobs, Web 3.0, cloud computing. 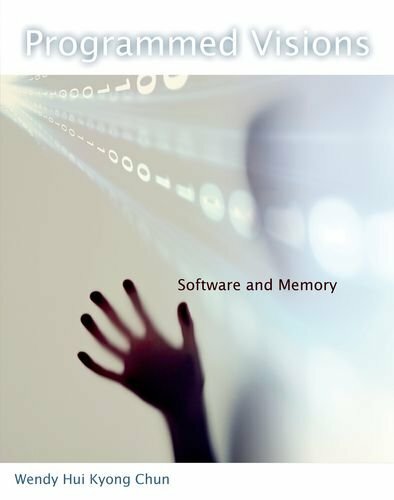 In Programmed Visions, Wendy Hui Kyong Chun argues that these cycles result in part from the ways in which new media encapsulates a logic of programmability. New media proliferates "programmed visions," which seek to shape and predict -- even embody -- a future based on past data. These programmed visions have also made computers, based on metaphor, metaphors for metaphor itself, for a general logic of substitutability. Chun argues that the clarity offered by software as metaphor should make us pause, because software also engenders a profound sense of ignorance: who knows what lurks behind our smiling interfaces, behind the objects we click and manipulate? The combination of what can be seen and not seen, known (knowable) and not known -- its separation of interface from algorithm and software from hardware -- makes it a powerful metaphor for everything we believe is invisible yet generates visible, logical effects, from genetics to the invisible hand of the market, from ideology to culture.